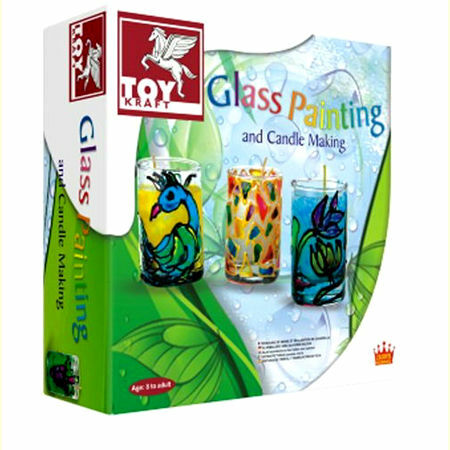 Craft Glass Painting & Candle Making this kit contains all you need to make 3 decorative painted glass candle holders and the candles which go inside them. The glass candle holder is painted with glass paint, and the painted tumblers are then filled with wicks and molten wax to complete the art activity. We like this because: "lovely translucent effect when candle is lit."